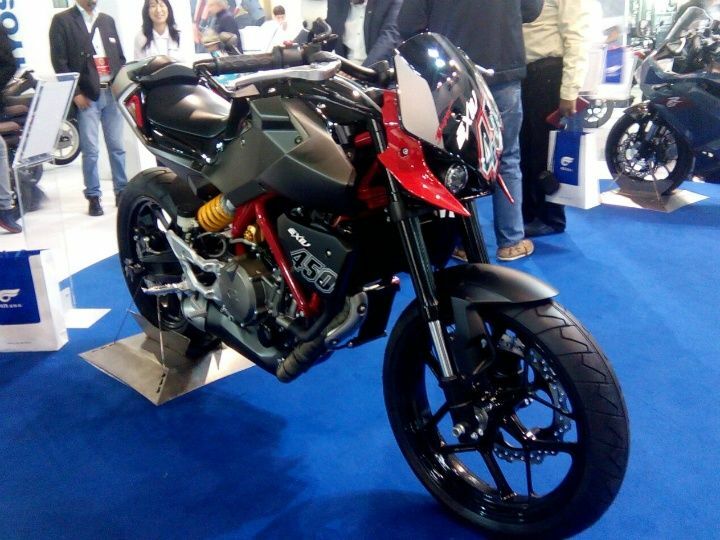 Hyosung, the South Korean automobile manufacturer has unveiled a variety of bikes at the EICMA 2015 including the exceptional prototype of GD450. The new naked street fighter looks immensely bold and edgy from its first shot with innovative body graphics and design. 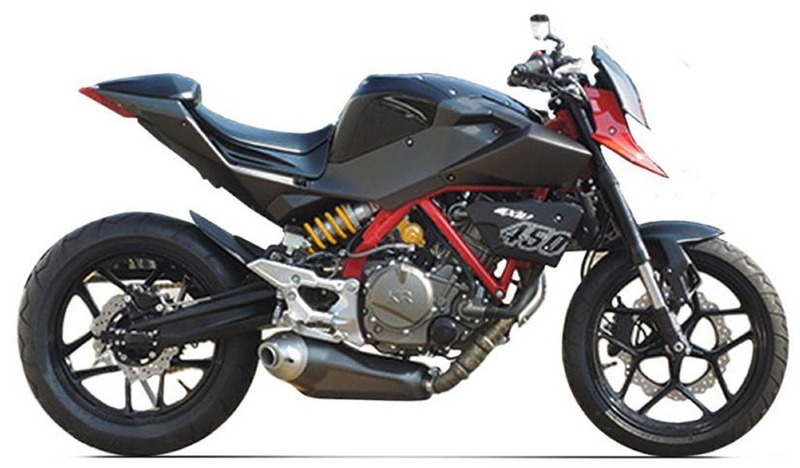 According to the officials, the new Hyosung GD450 is presumed to be launched ahead this year in 2016. Having a look at the body dynamics, the GD450 gets a quirky styling and looks extremely aggressive from its exterior. The front cowl looks razor sharp and is having an off beat twin headlight set up. The fuel tank is quite bulky and sturdy with cutting edge across the body. Other noteworthy features including tubeless alloy wheels, side portion looks a bit short as well as sporty having a wheelbase of 1360mm with an all-digital instrument cluster. As per the color scheme, the new GD450 is going to come in dark gray shade and the kerb weight of 162 kg. Stepping towards the technical scenario, powering of the bike comes from a 499cc, liquid-cooled, DOHC, 4-valve, single-cylinder engine that produces a maximum power of 50 PS at 7500 RPM and a maximum torque of 47.7 NM at 7000 RPM and the mill is mated to a six speed gear box. Mentioning the braking power, the bike is featured with 300mm disc brakes at front, while 230mm disc at the rear end. 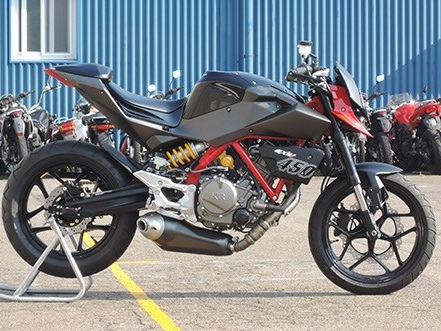 Suspension duties are handled by 41mm upside down telescopic front forks and dual side aluminium swingarm with an offset gas charged hydraulic shock absorber. Adding some more bits, the rear set up gets a non-step preload adjustment. The ground clearance is of 148mm and the fuel tank capacity sets to 11 liters.